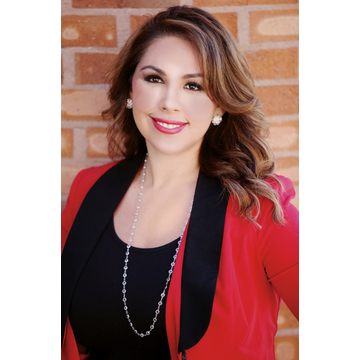 Help Felicia go Over The Edge for CASA of Pueblo! Felicia Beltran hasn't added a story. I'm going to rappel down The Thatcher Building, in exchange for donations back to the amazing local non-profit organization, CASA of Pueblo. CASA is a vital program making an impact in reducing child abuse and neglect in our communities and helping to move children out of the system and into safe permanent homes faster and with fewer foster placements. It has been established that the intervention of a support system or support individual can make the difference in the life of the child and affect positive change for the future. CASA of Pueblo serves children ranging in age from 0-18 involved in Dependency and Neglect court actions because of allegations of abuse and/or neglect. 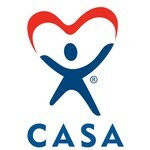 CASA volunteers have to be specially trained to identify safety and risk factors that lead to child abuse and neglect. CASA volunteers work with children who have special needs or disabilities and are also trained in the areas of cultural competence and working with families who have elements of substance abuse, domestic violence, poverty, etc. Felicia Beltran hasn't posted any updates yet. Fundraisers working for our cause. Our community shows our leading supporters and the contributions they've made or inspired by sharing our campaign. Sign in to get your personal share link and see your position in our community. To appear in our community, simply make a contribution to our campaign and show your name, or inspire a contribution from someone else by sharing your personal link (below). The more contributions you make or inspire, the higher you'll go and the more the campaign will benefit. , take your place in our community! , you've helped raise a total of . Join our team in making this campaign a success. Together we can do good for the cause we believe in. Court Appointed Special Advocates (CASA) of Pueblo is managing the funds for this campaign. © 2018 - 2019 Over The Edge Global.